This series of shrink tunnel offers superior performance, easy operation, latest features, compact size and metal enclosure. Robust in design, these are applicable for a wide range of packing applications using wrapping machines like shrink wrapping machines. We have designed this machine with the objective of durability, clear visibility, tamper proof and total protection from environmental factors. 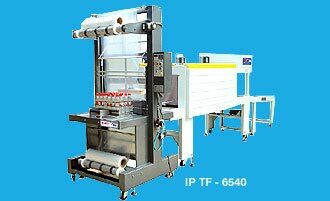 The shrink tunnel machine with sealer IP 1045, 104535, 1055 and 1065 is designed for unique and special packing requirements of our clients. Produced using advanced sophisticated machines and infrastructure, these machines are high in performance, utility, easy to operate and serve for long. 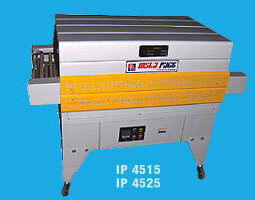 IP – 2000 series of shrink chamber is high in performance, reliability and error free. Designed to satisfy individual specific needs and requirements, the machine is quality checked and is in compliance with industry standards and guidelines.